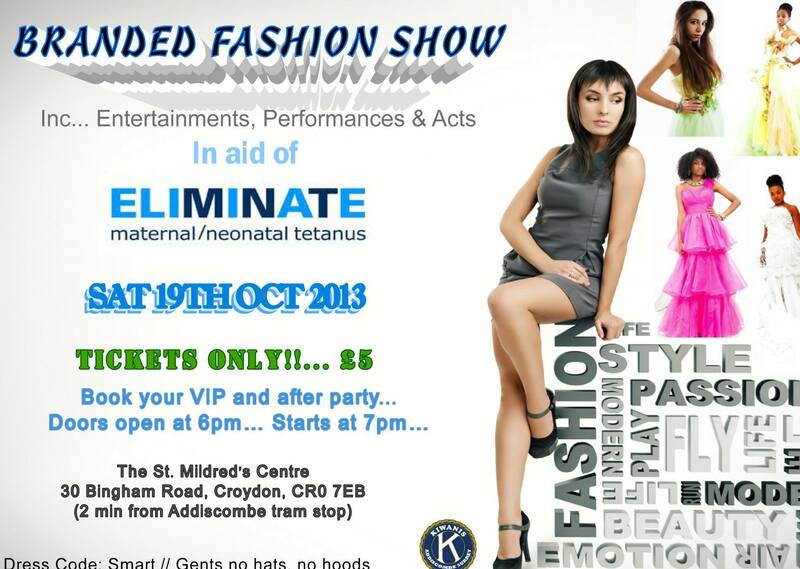 If your interested in Fashion, or you looking to see wonderful performances, ‘The Branded Fashion Show’ is a great event keep you entertained! If you would like to attend this event you can buy a ticket online at www.eventbrite.co.uk/event/8267100119/estw. There are ONLY 10 VIP Tickers Remaining! so dont miss out on this wonderful evening. Some of the participants and supports includes: Several Branded Retail Stores (the likes of TM Lewin, Ocada, Nandos, Body shop, London/Croydon Chambers of Commerce, London/Croydon TV and Bonita), as well as:- Independent Designers, Models, Photographers, Beauticians, supporters of Arts, charity and UNICEF.